It’s the year 2014, when online gaming is normal. People play first person shooters, strategy games, massively multiplayer role playing games, hell, even farming simulators through the internet, and it’s normal. The internet is a local area network of the whole planet, and gamers can connect to fellow gamers from half a world away. Nowadays these things are usual. There is another form of online gaming, though – a form that nobody seems to consider gaming, probably because there is real money involved, and players need less skill, and more luck to win. It’s called online gambling. You see, online games come and go. Every major MMO, online strategy title and FPS will be forgotten in a few years, while casino classics like blackjack and roulette will still be among the players’ preferences. Poker is one of the most popular online games, even with real money involved – the world’s biggest online poker room has over 50 million registered users from all over the world, and over 100 billion poker hands have been dealt through it since its launch in 2001. Online casino gaming is also a popular form of online gambling. Millions of people from all over the world are playing at various online casinos, like the Euro Palace Online Casino, the 888.com online casino, the Jackpot City or the Casino.com, to name just a few. Some operators even combine various forms of online gambling, offering their players the chance to bet on various sports events (this one I hardly consider gaming at all) and play a hand of poker, a spin at the slot machines, a round of blackjack or even some ‘casino darts’ (this one was a shock for me!) while waiting for the event to end. These operators are among the biggest in Europe, most of them with a long history in sports betting. 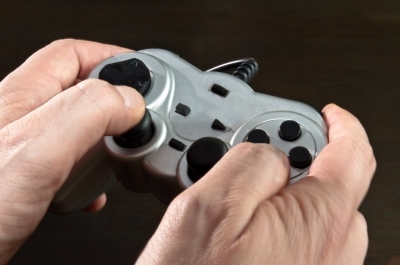 So, what games can you play at online casinos? First of all, there are the classics: roulette, blackjack, craps, baccarat and other card and table games. These are all considered traditional casino games, and are present in real life establishments as well. Some of them are centuries old, others are new versions of old games re-invented (and patented, of course) by modern day casino operators. 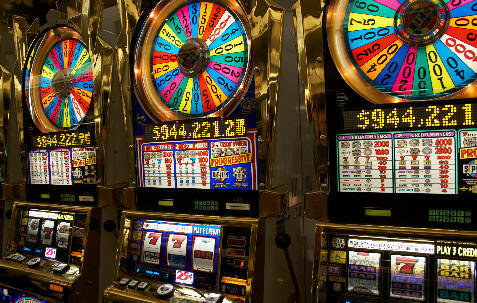 Another big game category – perheaps the one with the greatest variety – is slot machines. This invention is also over a century old, but it couldn’t reach its full potential until the late 1970s, when the first video slot machine was built. Since then these games have become available in hundreds, if not thousands of varieties – some are replicas of classic Las Vegas slot machines, others are inventive and surprising pieces of software built entirely for computer screens. To have a complete casino offer, developers usually include in their offer other forms of casino games, sometimes called ‘parlor games’ – video poker, scratch cards, various casual games, keno and bingo.